I am catching this story at the tail end of the journey and for that I am VERY, VERY sorry. 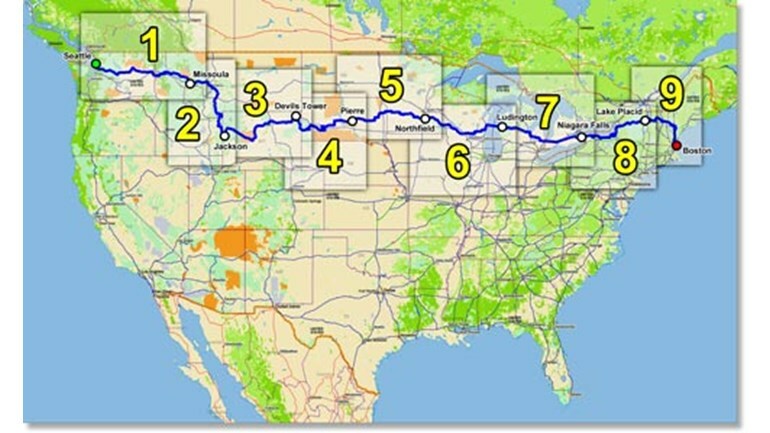 EACH supporter George Broughton has just finished his first term at University and in an effort to get rid of the “Freshman 15” he decided to spend his summer on his bike, riding coast to coast across the USA…a trek of over 4200 Miles. Trust me, sticking to the northern part of the country may not have made this trek much, if any, easier. He is being joined for the last 1000 miles by his Godmother Emma Deterding who is a Patron of EACH. From what I can gather via his twitter account he seems to have had a nice ride and I am betting the Freshman 15 are gone! George is raising funds for the Nook Appeal on this trek and at the time of this post he has raised an impressive £9530. You can donate here if you want to show your support for George and Emma as they come to the end of this massive challenge!